Buying a house isn’t like buying an object that you can return the next day if you are not satisfied with it. Settling down in a house requires a lot of research as you will put your roots down at this place and also the future generations. While affordability is one of the crucial deciding factors, there are other things, too, that need to be considered before signing on the dotted line. The wrong neighbourhoodsans the right amenities can create havoc in your life. Travel time: This should be number one in everyone’s priority list when looking for a house in Bangalore and Chennai. Bangalore has grown exponentially over the past few years and today traffic has become one of the biggest challenges of the city. Chennai being a metropolis has great distances to travel still. If your home is a long way from office, you’ll be spending a lot of time and money on commute. If you have children, you need to consider their schools, too. A lot of times, children have to travel a lot to get to their schools. Your choice should address this basic concern. Availability of necessities: It’s crucial to have easy access to the everyday necessities like grocery, medical and ATM. The Chennai floods have taught a valuable lesson on this. If it’s an apartment complex, there should ideally be a health club; if not, look for a gym nearby. For daily needs, you should have access to local businesses and not the overpriced gourmet stores. Safe neighbourhood: The area you choose should be safe and friendly. Whether you choose a 3 BHK flat for sale in Bangalore or looking through 1 BHK apartments in Chennai, you should be able to venture out without fear of getting mugged or attacked. Abroad, most real estate agencies have data that provide access to the crime rates of a particular zip code. While things might not be so advanced in Indian cities, you can always look up online or get in touch with the local police station to know about it. Cleanliness of the area: Cleanliness of the area plays an important role when it comes to choosing a new house. Would you like to pass through garbage dumps while going to office in the morning or coming back home in the evening? So choose an area that is well maintained. Also, if there are large drains or culverts in close proximity to your home, you’ll be greeted with unpleasant smells when you’re home and this is something that you should not live with every day. Proximity to loved ones: The place that you are choosing, is it close to your family and friends? If not, it should be easily commutable. The further you move away from friends and family, it can take a toll on the relationship as you’ll not be able to catch up regularly. 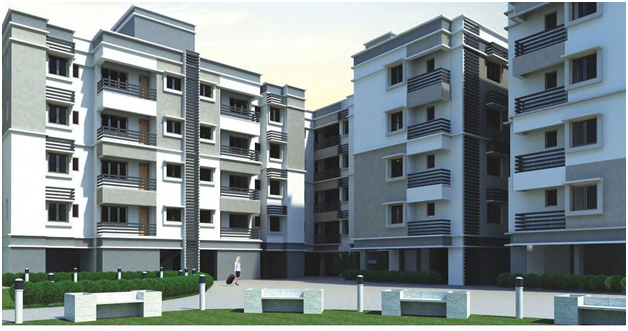 If moving to Chennai, look for houses for sale in Chennai that are close to your loved ones and that’ll prove to be a great comfort to everyone. While looking for houses to move into, start your search on RoofandFloorfor plenty of options to choose from!